LPA Design has announced the PocketWizard Plus X, the company's most affordable flash trigger to date. LPA Design, the radio device manufacturer, has announced the PocketWizard Plus X, the company’s most affordable flash trigger to date. 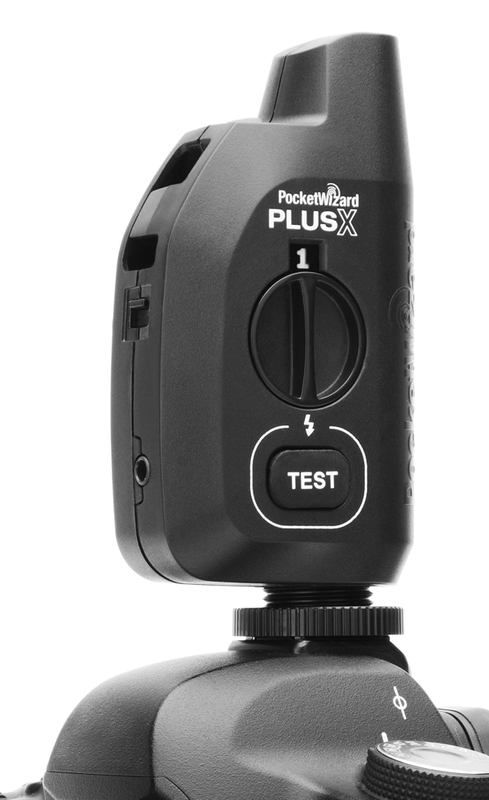 Billed as “the simplest PocketWizard ever” the Plus X will be aimed at entry-level photographers and existing Plus II users who don’t need all the features of the Plus III model. The Plus X is a manual-only wireless radio trigger capable of synchronising flashguns with a camera shutter. It can also be used as a handheld remote shutter release, e.g. for self-portraits or sports photography. The radio transceiver will be compatible with all other PocketWizard-enabled devices, including certain studio lights (Profoto, Dynalite, Norman, Photogenic) and Sekonic light meters. 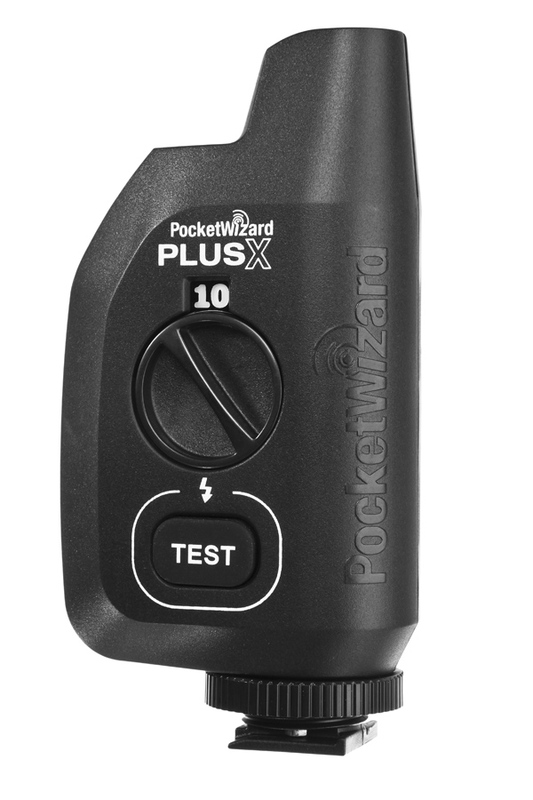 The PocketWizard Plus X might best be described as a PocketWizard Plus II shoe-horned into the smaller body of a Plus III. It is an entry-level trigger, stripping out features like Quad Zone triggering fast synchronisation or TTL exposure control. Since the Plus II, they have even removed one or two features, such as the “Remote – Local – Both” switch, presumably because some users didn’t understand what it was for. There are 10 (hence ‘X’) different frequency channels that the user can select using a dial on the side. As a receiver, the device connects to a remote flash or camera via a cord plugged into the Plus X’s 3.5mm jack. 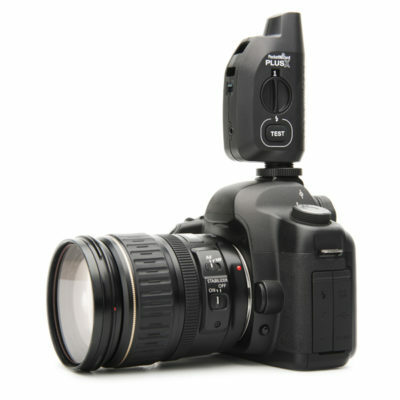 When used as a transmitter, it slides into the camera hot-shoe or can connect to a DSLR’s Prontor-Compur (PC) port. A special “relay” function allows you to set off a remote camera, in turn triggering some off-camera flashes, all in sync, using only three transceivers. The specified operating range is 500 metres (1600 feet). There will be a 344MHz FCC-approved model for the North American market and a 433MHz version for Europe. Both will support older flashes with triggering voltages up to 300 Volts. Despite the lower price point, the Plus X still seems to be aimed at professional photographers, rather than speedlight-toting enthusiasts, since there is no hot-shoe to slide in a system flash. This will not be an issue for anybody using studio lights — they have to plug in cords anyway — but people using mid-range speedlights such as the Canon Speedlite 430EX II or Nikon SB-700 will need to buy a third-party hot-shoe adapter and connecting cord before the Plus X will work with their flashgun. To date, the only PocketWizard transceiver with a female hot-shoe is the $229 PocketWizard FlexTT5 . Some customers have criticised PocketWizard pricing in the past, pointing to examples such as the Chinese-made Yongnuo YN-622C, a capable 2.4GHz E-TTL flash triggering system that costs $90 for two units on Amazon or eBay, less than half the price of single PocketWizard Plus III transceiver with fewer features. 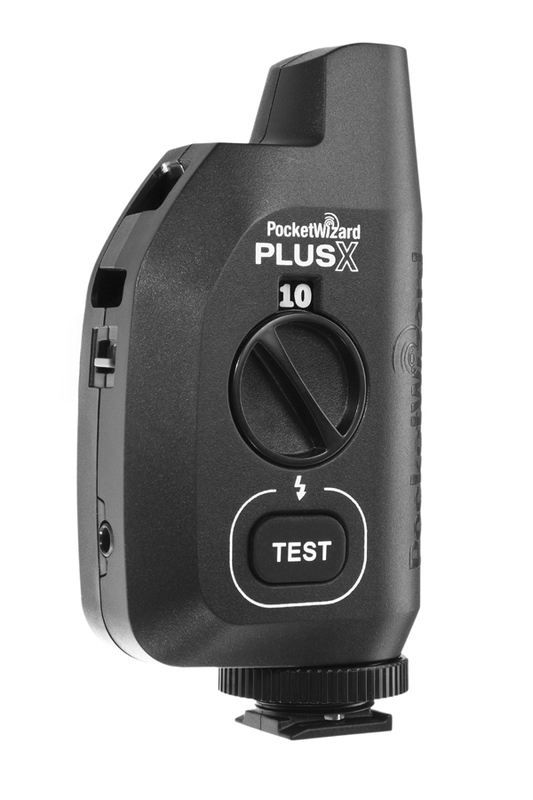 However, others argue that PocketWizard is an industry standard, a respected brand, offers the best triggering reliability and has warranties, customer service, rental availability and cross-compatibility to back it up, mostly things that cheaper Chinese triggers cannot provide. At $99, the Plus X is the cheapest flash trigger PocketWizard has ever offered and while it — being made in the USA — is still more expensive than many of the new devices coming out of Shenzhen, it should nevertheless be a much more attractive proposition to photographers hoping to buy into the wider PocketWizard system. 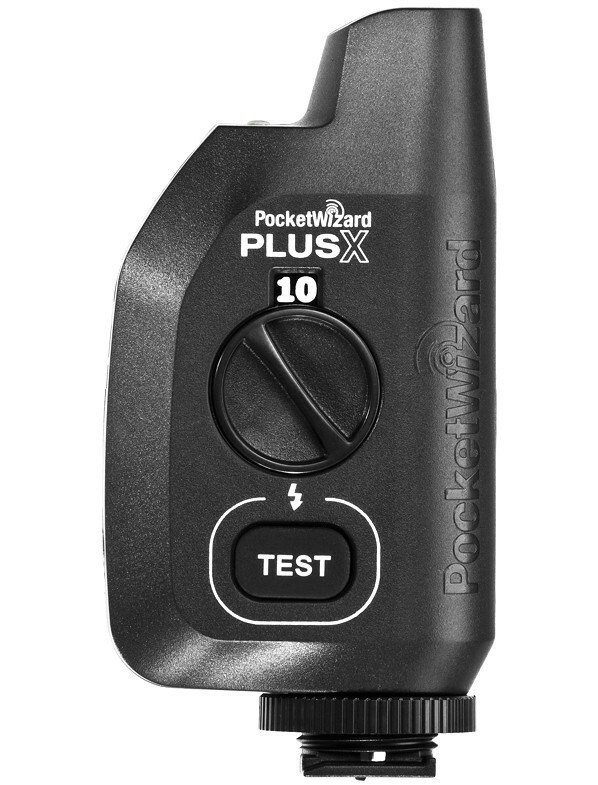 In the USA, the PocketWizard Plus X will cost $99 per transceiver, available from Adorama, Amazon , B&H and other reputable photo dealers. The product launches today, 1st March 2013. UK pricing is £89.99 per unit and £169.99 for a twin set. That’s about £15 less than what you’d pay for a PocketWizard Plus III Transceiver now . The UK distributor is Johnston’s Photopia, who be officially launching the PocketWizard Plus X at the Focus on Imaging trade fair, starting this Sunday (stand B12). Lighting Rumours will be at the show with full coverage, so subscribe and follow us on social media for the latest updates. For further information, please visit the PocketWizard web site. What do you think about this new release from PocketWizard?